City of New Britain's website for more current maps. Information found within should not be used for making financial or other commitments. The City of New Britain provides this information with the understanding that it is not guaranteed to be accurate, correct, current, or complete and conclusions drawn from such information are the responsibility of the user. 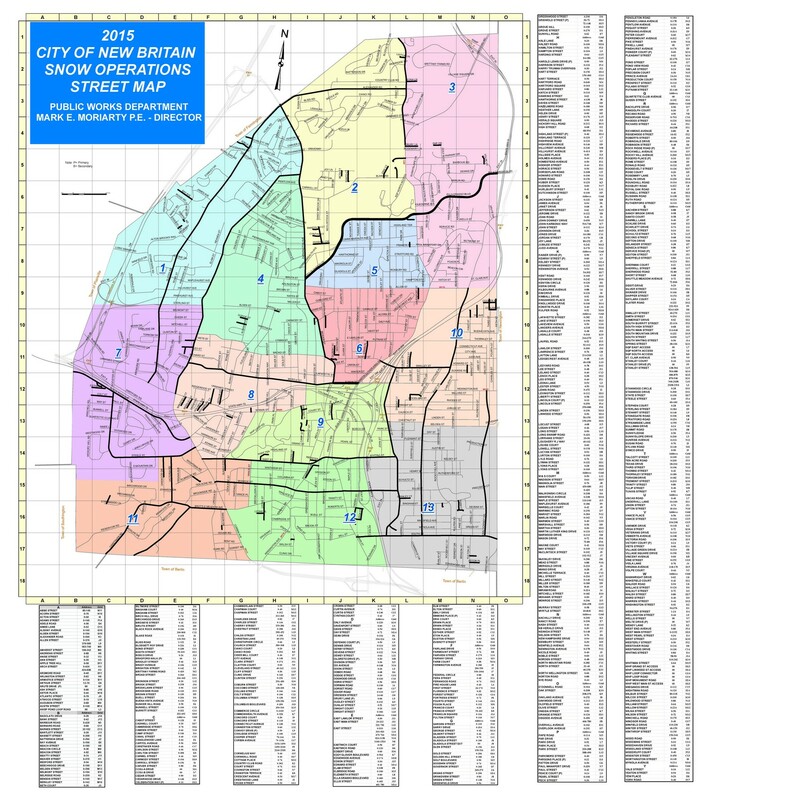 While every reasonable effort has been made to ensure the accuracy, correctness, and timeliness of the maps presented, The City of New Britain assumes no responsibility for errors or omissions. 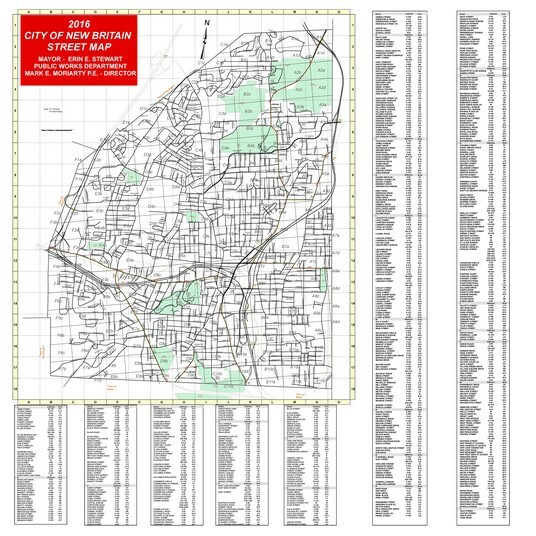 The Street Index map has been provided by the City of New Britain. 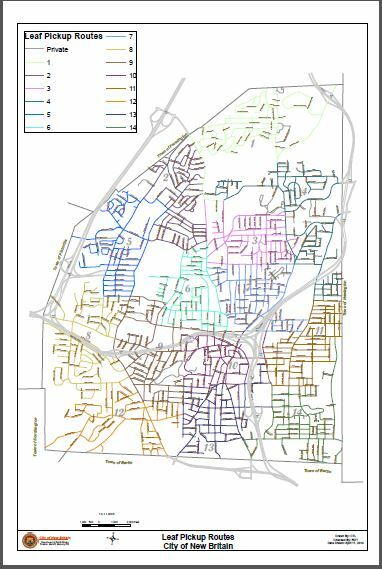 The leaf pick-up map has been provided by the City of New Britain. The 2015 snow route map has been provided by the City of New Britain. 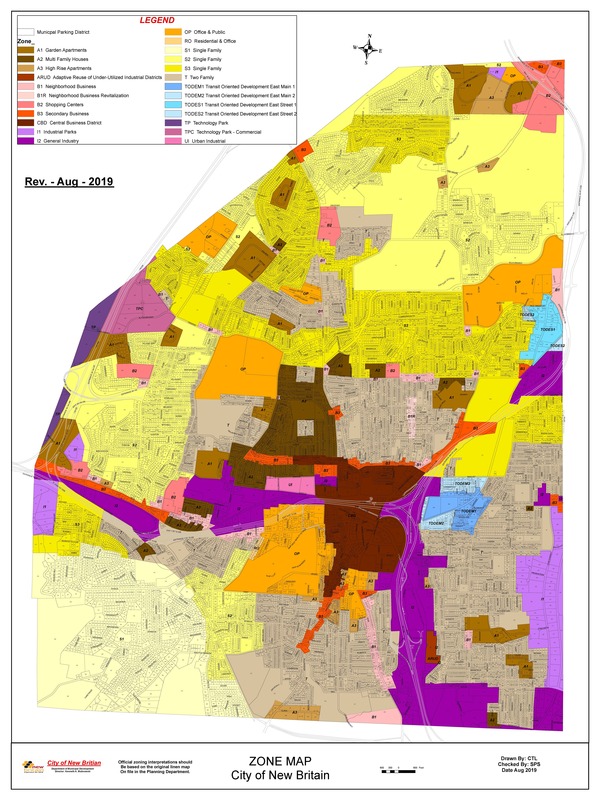 The Zoning map has been provided by the City of New Britain. 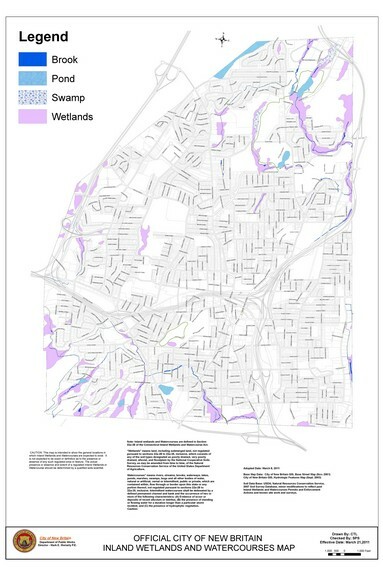 The inland wetland map has been provided by the City of New Britain.